FAMILIES across southeast Queensland and as far north as Rockhampton were affected by animal rights protests in Yangan today, abattoir owner Greg Carey said after slamming the vegan activists for raiding his local business. Thirty-five employees were unable to start work at the Carey Bros Abattoir in Yangan this morning after 20 activists barged into the facility and chained themselves to kill floor equipment. Between 100 and 200 protesters stationed themselves outside. Mr Carey said the activists were interfering with the lives of families who relied on his business. "Thousands of people, from farmers to butchers rely on us. We are one of the last big domestic abattoirs left in Queensland," he said. But Mr Carey thinks the activism could result in worse conditions for animals, if the goal of stopping meat production and processing in Australia was achieved. "If we don't kill our animals here in Australia we will buy the meat in from China or Brazil where the standards are much worse," he said. "All they want is media coverage. It is probably all over Australia already. It is pretty upsetting." 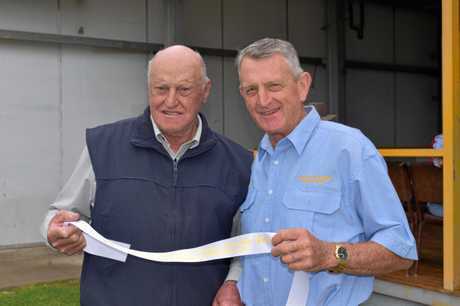 Mr Carey said his family-owned business was highly professional and had been operating since 1944. 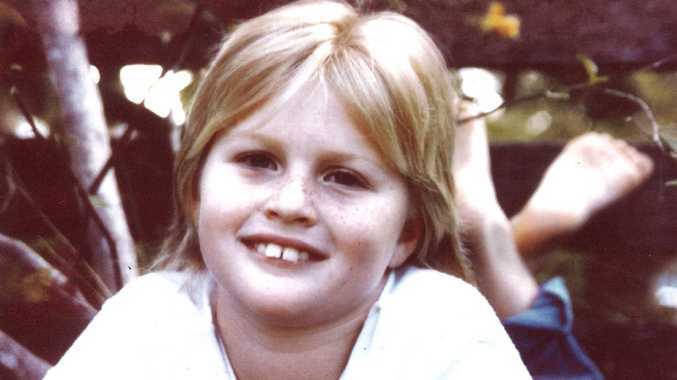 "We deal with people right around and as far north as Rockhampton," he said. "It would affect all the retail butchers, the farmers, the saleyards. We supply to the Sunshine Coast, Gold Coast and Brisbane. "These people don't worry about the livelihoods of people." 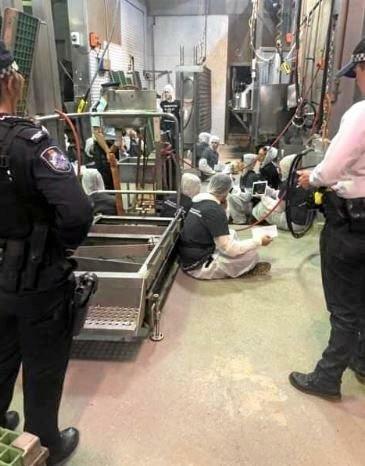 Warwick police officer in charge Jamie Deacon said the protesters were stationed at the abattoir about 3.30am when employees turned up to work. At present no one has been charged or arrested and no complaints have been made. "If complaints are made to police we will investigate and prosecute as we see fit but at this point in time there are no complaints," Senior Sergeant Deacon said. The protesters have requested authorities exercise restraint. At the end of a video taken inside the abattoir one activists says "what we do ask, is when we leave voluntarily, there will be no charges laid".